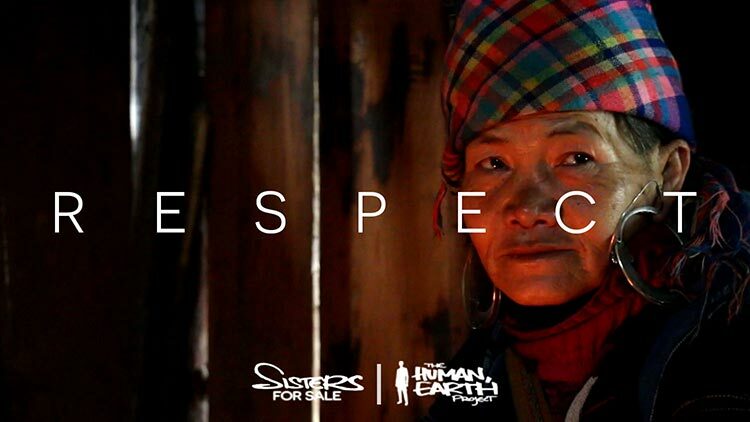 Next week, our feature documentary, ‘Sisters For Sale’, will premiere at the Human Rights Film Festival of Naples, in Italy. ‘Sisters For Sale’ will serve two purposes: to raise awareness of the global human trafficking crisis, and to raise much-needed funds for organisations fighting human trafficking in Vietnam and around the world. During production of ‘Sisters For Sale’, I’ve had the honour of working with both Michael Brosowski and Georges Blanchard, who have each founded an excellent anti-trafficking organisation in Vietnam. I was liaising closely with Michael over a period of twelve months as I endeavoured to locate my kidnapped friends May and Pang in China, to arrange their return home, and to convict their traffickers. Michael continually impressed me with his knowledge and understanding of the complex issues and situations we encountered, and his evident passion for the cause. Michael’s organisation, ‘Blue Dragon Children’s Foundation’, has been operating in Hanoi since 2003. Amongst their long list of incredible achievements is rescuing hundreds of human trafficking victims in Vietnam and China. Georges has been working with street children and human trafficking victims since 1992. His organisation, ‘Alliance Anti-Trafic’, was the first anti-trafficking organisation in Vietnam. I was based in northern Vietnam, and Georges is based in Ho Chi Minh City, in the far south. While we’ve had less opportunity to work together, we’ve now been in contact for almost five years, and I’ve always been impressed by Georges fanatical dedication to fighting human trafficking. In many ways, Georges reminds me of myself – an idealist and an underdog who doesn’t always have access to the staff and funding he needs, and has often forged ahead on pure determination because he understands how life-changing this work is. I have a huge amount of respect for what Michael and Georges have been able to achieve – but I respect them for another reason, too, which may be more difficult for others to appreciate. Fighting human trafficking is extremely difficult work. The “trafficking” part is shocking – but the “human” part is the hardest of all. The victims of human trafficking number in the tens of millions – and every single one of them is a real person, with a name, a face, and a family. So are their traffickers. When you’re working with human trafficking, you meet those people, and hear their stories constantly. Sometimes it all gets a little too real. There are people who have worked on ‘The Human, Earth Project’ – including some who have been involved only briefly – who have simply been overwhelmed by it all. Earlier this year, I received a message from one of the translators working on the Vietnamese version of ‘Sisters For Sale’. She wanted to know if everything that happened in the story was true. When I told her it was, she apologised, and said she needed to take some time out. I know the feeling. I’m sure Michael and Georges know it, too – and yet, year after year, they keep on fighting. It’s difficult to imagine the inner strength and resolve that requires. Earlier this year, I was approached by one of the world’s five major publishing houses, who was interested in a potential adaptation of ‘Sisters For Sale’ as a book. It was an exciting moment. ‘Sisters For Sale’ is a phenomenal story, and most of it has never been told – not on my blog, not in the documentary, not even to my friends or family. There are still plenty of surprises, even for those of you who have been following this project from the very beginning. It’s a story that can make a huge difference against the global human trafficking crisis. More than that, becoming a published author has been a dream of mine since I was a child. That was nine months ago, and I could have finished the manuscript by now – but I haven’t. In fact, there have been some months I’ve barely touched it at all. Because this story covers the most difficult period in my life. I spent a year as close as you can get to human trafficking without actually being a victim or a trafficker. I made decisions that forever altered people’s lives, and there are times that those lives were in very real danger – including my own. I’m still living with the results of those decisions. While none of us were hurt physically, each of us was affected in other ways. Writing the book means revisiting that time in painstaking detail. For other people, it will be a fantastic story – for me, it’s my life. For every feel-good success story about human trafficking, there’s a black hole of human suffering. Michael and Georges face the realities behind those stories every day. I’ve been working against human trafficking for almost six years now, and it’s been one of the most difficult things I’ve ever done. Between them, Michael and Georges have been doing it for almost four decades. I’m sure it hasn’t been easy. Better than anyone, they know just how important their work is, and they deserve every bit of support and respect we can give them. People have been asking if I’m excited about the release of ‘Sisters For Sale’ – about going to film festivals, and seeing ‘Sisters For Sale’ on the big screen. No, I’m not excited about those things – but I am excited that ‘Sisters For Sale’ can finally start making a difference for the people who need it most.